It seems that we spent most of Easter with our heads buried in our books, looking up every now and again to eat some of our chocolate eggs. Sadly, none of our reading adventures were spent in these gorgeous literary hotels, but we read such good books we can overlook that. Sian: I've been reading books on my MA reading list recently. Voyage in the Dark is one of the most beautiful, bleak, brilliant books I've ever read. It's the best book I've read by Jean Rhys, even better than Wide Sargasso Sea. After two attempts, I've given up on To The Lighthouse. Maybe I need something a little cheerier. I also read a bunch of Fitzgerald stories and and became smitten with the jazz age all over again, and sped through Turn of the Screw, but didn't love it as much as everyone else seems to. What's next? More short stories - William Boyd is in my handbag waiting for me to have a spare half an hour. 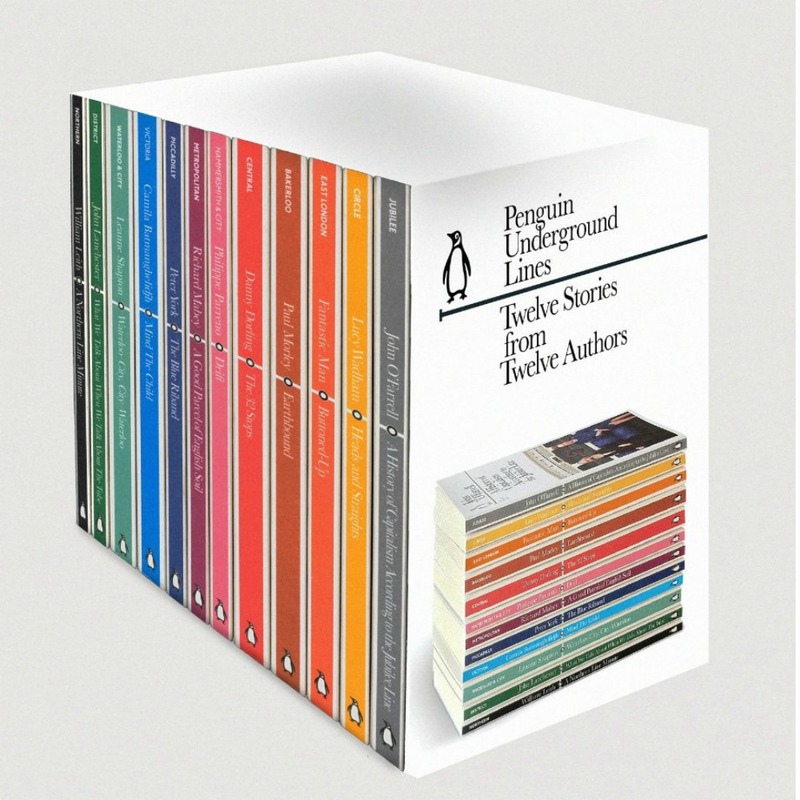 I'm also itching to get my hands on the Penguin Underground Lines set - a different writer telling a story for each of the London Underground lines. Frances: Aha, Sian, an excellent choice, as I'm pleased to report that my latest reading has been two of the books from the Penguin Underground Lines set. I've read Heads and Straights by Lucy Wadham, which is an account of growing up near the King's Road in the heyday of Punk, and Buttoned Up. Buttoned Up has been put together by the Fantastic Man team (the bloke version of The Gentlewoman magazine), and the entire book is devoted to the trend of fastening up your shirt, all the way to the top, and is loosely tied to the East London line. It's brilliant. I now really want to get my hands on Leanne Shapton's take on the Waterloo and City line as her Important Artifacts book is one of my all time favourites. I also have a weakness for fashion-related biographies. I've just finished the new Grace Coddington memoir: despite its size, it's a quick read and recommended if you enjoyed The September Issue film. For more behind the scenes stories, the new biography of Diana Vreeland - surely the all time queen of Vogue - is fascinating. To complete the fashionable trio, I've tracked down a copy of the now out-of-print Always in Vogue, the story of Edna Woolman Chase, who edited the magazine up until the early 1950s. They are three very different but inspiring women. Kat: I am currently livid because I'm dying to read Gone Girl by Gillian Flynn but it's been removed from the Kindle store for some reason. I want it immediately! Still, hey ho, I've ordered the paperback copy and cannot wait. What I've actually been reading has been Life After Life by Kate Atkinson, after a fantastic review in The Sunday Times. I haven't gulped down a book so quickly since John Green's The Fault In Our Stars and would recommend both books if you're looking for something brilliantly-written and with tremendous characterisation. The Hundred-Year-Old Man Who Climbed Out of the Window and Disappeared (phew!) took me much longer to get into, but once I get used to the style and the slow burn, I loved it. It's filled with fantastic, entertaining flashbacks and was a real romp. Great fun. Sara: I'm also reading Life After Life and it's just brilliant. The story of Ursula Todd, born in a snow storm in 1910, stops and restarts again and again, offering a new narrative that is either marginally or radically different to what happened before. If that sounds frustrating, it's not, and the characters never feel any less real for the device. I've got Bust magazine on the go too. It's funny and feminist with excellent interviews and recipes and dirty stories and book reviews, with not a diet tip or close-up of a celebrity's cellulite to be found. Worth tracking down in independent bookshops or getting a subscription. Laura H: I just devoured (literally?) John Saturnall's Feast by Lawrence Norfolk. Anything about romance, war and seventeenth century kitchen brigades is going to get my attention, and this book did hit the spot in many ways. Chocolat, it ain't, but it's clever for not getting mired down in too much wordy food-play. There are some tantalising dishes described, such as "a Dish of baked Quodling Apples served with a sweet Cream", which have got me thinking all kinds of Restoration thoughts about cakes. The hardback is a lovely thing, and suits the style of writing, but the paperback is out on May 9th and probably more travel-friendly. Hazel: I've been immersed in amazing cookbooks this month. The Bookery Cook - Art to Eat is by 3 sisters, Jessica, Georgia and Maxine Thompson and is an eclectic collection of globe trotting recipes and illustrated by 66 artists from around the world. It's just beautiful, I'm making their roasted rolled chicken with pistachio, apricot and lemon stuffing this weekend, who's coming? It's definitely a book for cooks, as there are no photographs you must read the recipe and instructions really well but whatever your finished dish looks like is exactly how it's meant to, you've created your very own piece of food art! I've also been reading Jude Blereau's Wholefood Baking which is available to pre-order now and has completely stolen my heart and inspired me to be use more unrefined ingredients in my baking like these wholewheat flour muffins with dried fruits, nuts and seeds. If you follow an egg, dairy or gluten free diet and love baking then I can't recommend this enough as it has loads of recipes all the way through that are perfect for you, every recipe looks divine and and you can pat yourself on the back for making a "healthier" cake than you would normally do, aces, double portions for you! I've just finished reading A Matter of Life and Death by Paul Carroll. I absolutely LOVED it! Really makes you look at modern society and our values. But also really entertaining. Great characters and great plot twists!